Since graduating with Masters Degree in Music Education from the Royal Conservatory of Music, Gothenburg, in 1984, Mats Nermark has been involved in the music business in countless ways, most notably for a period as Director of European Marketing Services for Fender Musical Instruments Corporation and being part of the beta teams for Kemper, Steinberg and Atomic Amps. As a guitarist he’s been in bands and toured as a sideman with some of the most popular artists in his native Sweden. The guitar loving community has come to know Mats also as a hard working journalist for FUZZ magazine and Harmony Central. Mats is now teaching guitar and composition/recording at a music school in his home city. Practicing and jamming to backing tracks is one of the most rewarding things you can do as a guitar player. However, you need to have great sounding tracks to play along to, or else it can be a pretty dull experience. 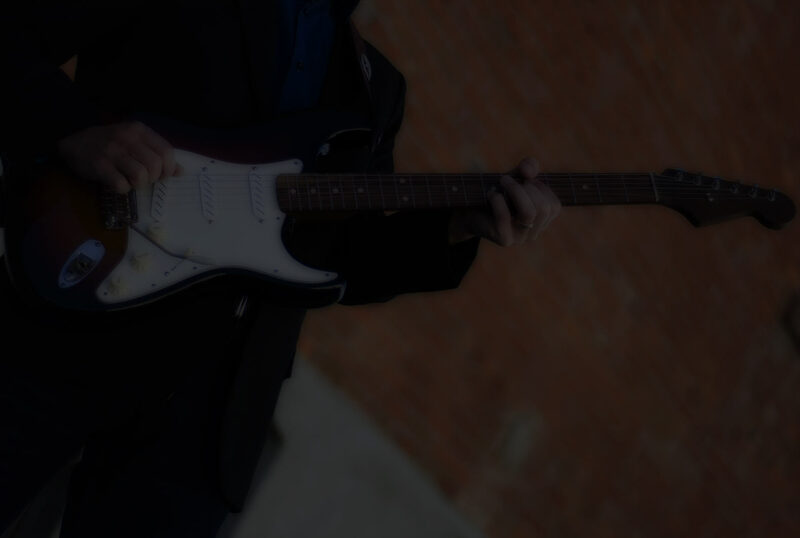 I’m excited to offer these high quality backing tracks for your jamming enjoyment. All these tracks were created by Mats Nermark – the BT King. There are 18 packs available and 7 styles of tracks available. In each pack, you will find an index, chord charts for each track, and 20 mp3s. Out of these 20 tracks, 10 of them are backing tracks, and 10 are “full tracks”. These full tracks are the backing tracks but with added melody and solo – complete compositions, in other words. The styles are Blues, Electro, Funk, Jazz, Jazz-Rock, Rock and Slick Pop. NOTE: All tracks are included in a full MGA membership. ▶ Listen to some samples here! Save $7, buy Blues 1 and 2 as bundle. Save over 30% with this bundle. You save $32 compared to buying Funk 1-2-3-4 separately. Save over 30% with this bundle. You save $32 compared to buying Jazz Rock 1-2-3-4 separately. Save over 30% with this bundle. You save $32 compared to buying Slick Pop 1-2-3-4 separately. I’ve played blues for a long time so the influences for the tunes in this pack are wide ranging. Here you’ll find all kinds of blues styles like blues rock, gospel blues, boogie blues, country blues as well as tunes influenced by Robben Ford, Larry Carlton and Mike Landau. More blues! This pack includes swing blues, pop style blues, non 12-bar blues and tunes inspired by Steely Dan, Larry Carlton and Joe Davies. This pack is hard to describe as I have a hard time seeing where the influences come from. There’s definitely some Pink Floyd and a bit of Craig Anderton and I’m very much influenced by my composition students. I love funk! This pack covers a lot of funk styles. Soul funk, rock funk all the way to pop funk influenced by Scritti Politti. The funk goes on! Here you’ll find slap bass funk, synth funk, soul funk with brass and the inspiration comes from sources like Larry Graham and Paul Carrack. The funk does not end! Here are tunes inspired by Donald Fagen, Scritti Politti, Prince and all kinds of tunes from the 80s and 90s. I can’t stop doing the funk! This pack contains tunes with inspiration from many people and eras. Old school funk, 90’s style funk, soul funk with brass and people like Shane Theriot and Jeff Beck. Jazz has a lot of sub-styles and this pack covers a few of them like latin bossa, modern bossa, modern smooth, modern organ jazz and more. Continuing the jazz offerings, this pack contains traditional jazz with brushes and walking bass as well as more modern style tunes. To me Jazz Rock is the genre that combines the energy of rock with the harmonies of jazz with some pop sensibility thrown in. Here are tunes inspired by Steely Dan, Larry Carlton and the smooth jazz movement. To me Jazz Rock is the genre that combines the energy of rock with the harmonies of jazz with some pop sensibility thrown in. Here are tunes inspired by Steve Lukather, Los Lobotomys, Larry Carlton and the smooth jazz movement. To me Jazz Rock is the genre that combines the energy of rock with the harmonies of jazz with some pop sensibility thrown in. Here are tunes inspired by Steely Dan, The Crusaders, Larry Carlton, Dave Henderson, Mike Landau and the smooth jazz movement. While I love playing rock I have a hard time pointing out my influences for writing these tunes. I know I’ve listened a lot to Deep Purple and bands from that era but I don’t know if that’s even recognizable here. My old friend Eric Olin has also been a great influence. I don’t know if there’s an official genre called Slick Pop but here it is anyway. In my book, this genre got its start with the band Airplay in the early 1980s. The band was started by David Foster and Jay Graydon who both later became great producers in this genre. This pack includes tunes influence by these two as well as Lee Ritenour, Steve Lukather and Russ Freeman. I don’t know if there’s an official genre called Slick Pop but here it is anyway. In my book, this genre got its start with the band Airplay in the early 1980s. The band was started by David Foster and Jay Graydon who both later became great producers in this genre. This pack includes tunes influence by these two as well as Lee Ritenour, Steve Lukather and Chuck Loeb. I don’t know if there’s an official genre called Slick Pop but here it is anyway. In my book, this genre got its start with the band Airplay in the early 1980s. The band was started by David Foster and Jay Graydon who both later became great producers in this genre. This pack includes tunes influence by these two as well as Lee Ritenour, Steve Lukather and Rolf Jardemark. These tracks are composed by Robert Renman. They are currently on sale for 19 dollars. They are not nearly has cool and unique as Nermark’s tracks… just so you know. Practicing guitar in context is extremely important. You should always strive towards practicing in a musical context, because after all, we are all trying to learn how to play music, and not sound like an exercise. When you’re practicing with a backing track, you still have the same base that provides us with a time reference (just like metronome does), but there are also other instruments in there. By practicing this way, you start to really listen to the drums, the bass and/or piano, etc. You will learn to listen this way! Listening is extremely important, and practicing with backing tracks helps you develop this important skill. Practicing along with a backing track gives you (almost) the same vibe and feeling as if you are playing with a real band. This means that if, and when you get a chance to play with other people, you will be prepared and can easily fit in, because you’re already used to playing in this kind of environment (at least virtually). Finally, practicing with backing tracks is a lot of fun! When practicing, you need to make sure that you’re having fun, because that will help you keep going. Hours go so fast when you’re having fun with an inspiring backing track. In contrast, playing with a metronome can feel like a chore at times. Backing tracks help you develop your musicality and you’ll better understand different song structures, as everything we play over a backing track needs to fit a certain musical context.